Trees are offered for sale in different shapes. To the outsider the way these are graded can seem complicated, so we’ve pulled together a little explanation of the options below. Standard here means the familiar ‘lollipop’ shape, with a single straight clear trunk and a head, or crown, of smaller branches on top. The stem should be 2 metres from the ground to the start of the head. 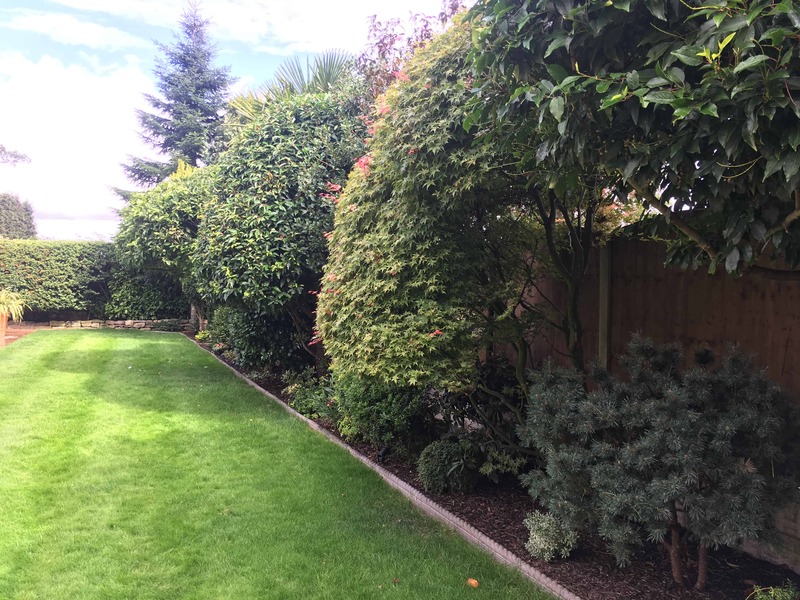 Standard trees are normally graded by girth (that is, circumference) at 1 metre from the surface of the ground, using a tape measure. This measurement is given in centimetres. This tells the buyer how substantial the tree is. For standards, it is a better indication of what you are getting for your money than the height alone would be. We have seen very tall standard trees, that were very spindly and whippy, and drawn, and nothing like such good value as a shorter stockier tree. The grades normally offered are: 10-12cm, 12-14cm, 14-16cm, 16-18cm, 18-20cm, 20-25cm, 25-30cm. As a very rough guide a 10-12cm tree will be about 3.5 metres tall, 12-14cm about 4 metres, 14-16cm about 4.5 metres, bigger trees will be around 5 metres. These trees have a single stem, but do not have a defined head. Instead, branches grow out from the main stem all the way up it, from just above ground level. These trees are measured by height, measured from ground level to the tip of the plant. This measurement is given in metres. The grades normally offered are: 1-1.25 metres, 1.25-1.5 metres, 1.5-1.75 metres, 1.75-2 metres, 2-2.5 metres, 2.5-3 metres, 3-3.5 metres, 3.5-4 metres, 4-4.5 metres, 4.5-5 metres. These trees have 3 or more stems starting from below knee height, normally directly from the soil or compost surface. They may have branches all the way up the stems, but for some subjects the small branches may be cut off to expose attractive bark. These trees are measured by height, measured from the ground to the tip of the plant. This measurement is given in metres. The grades normally offered are: 1.75-2 metres, 2-2.5 metres, 2.5-3 metres, 3-3.5 metres, 3.5-4 metres, 4-4.5 metres, 4.5-5 metres. We sell both. All trees 16-18cm are priced as being supplied rootballed. Larger trees need to be rootballed to ensure a successful planting. We also recommend rootballed for more sensitive trees such as Birch, Beech, Oak & Hornbeam. Rootballed trees are supplied with roots wrapped in wire and hessian and planted in this form – these materials break down over time allowing new root growth and minimum disturbance to the tree at the time of planting. Bare root trees are lifted and immediately wrapped in polythene bags. They should be planted within two to three days of delivery. 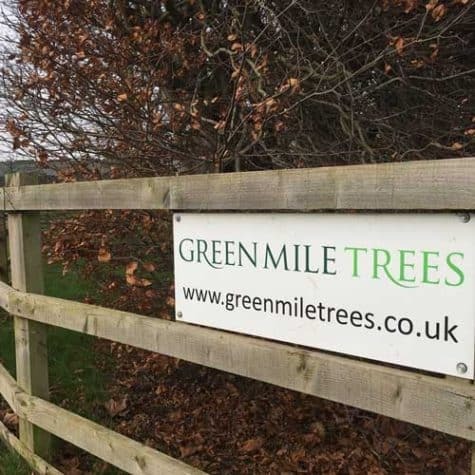 Field grown trees are available for delivery from October to mid April.